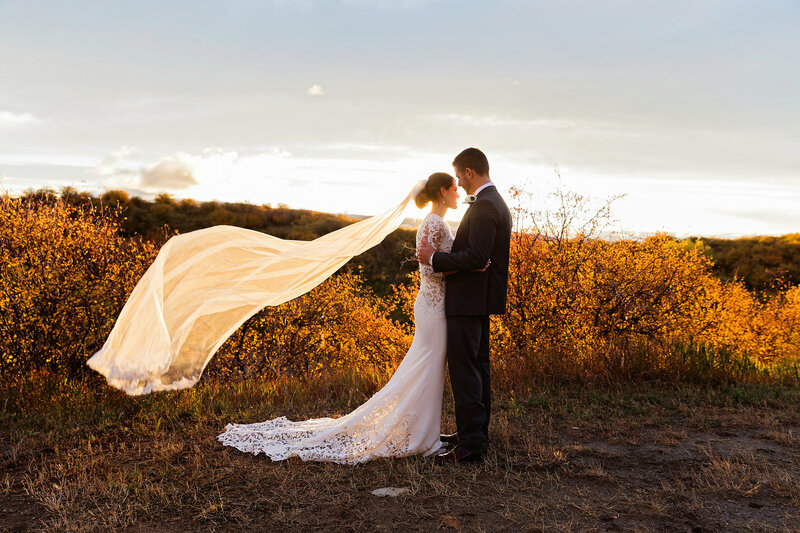 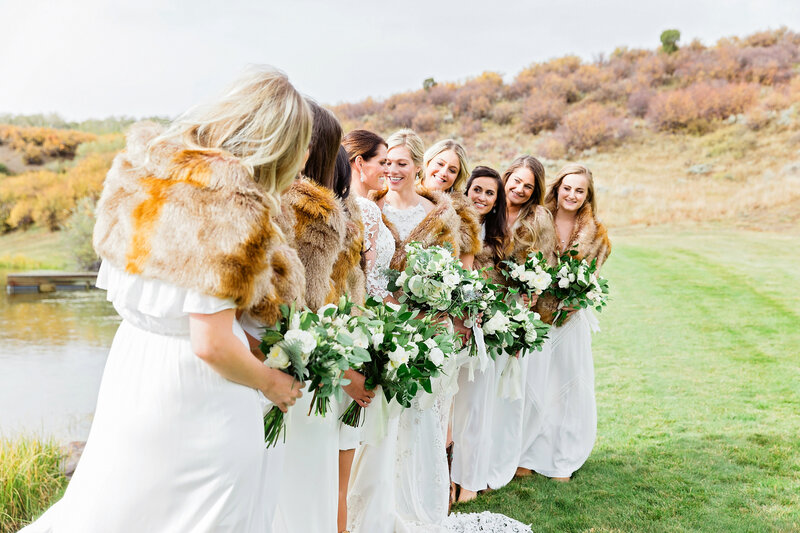 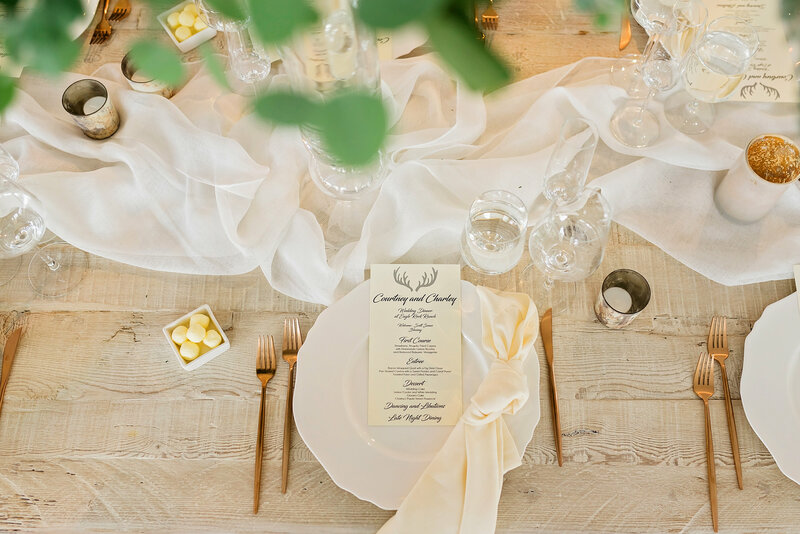 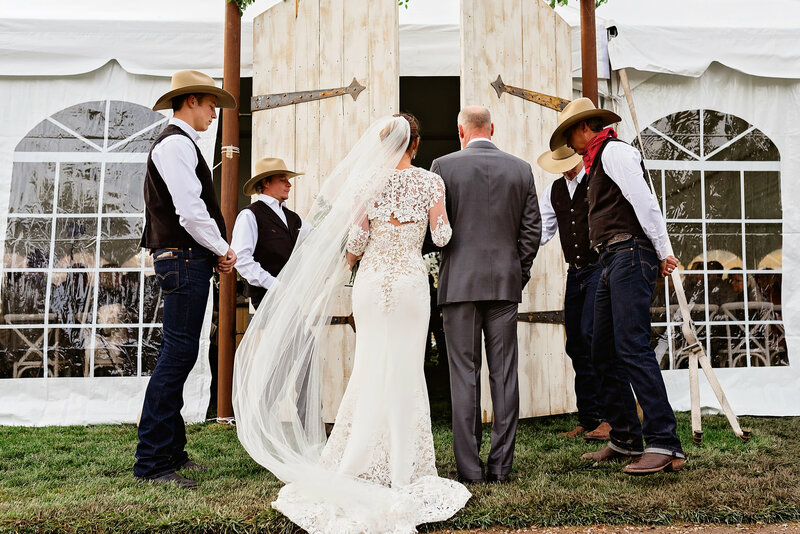 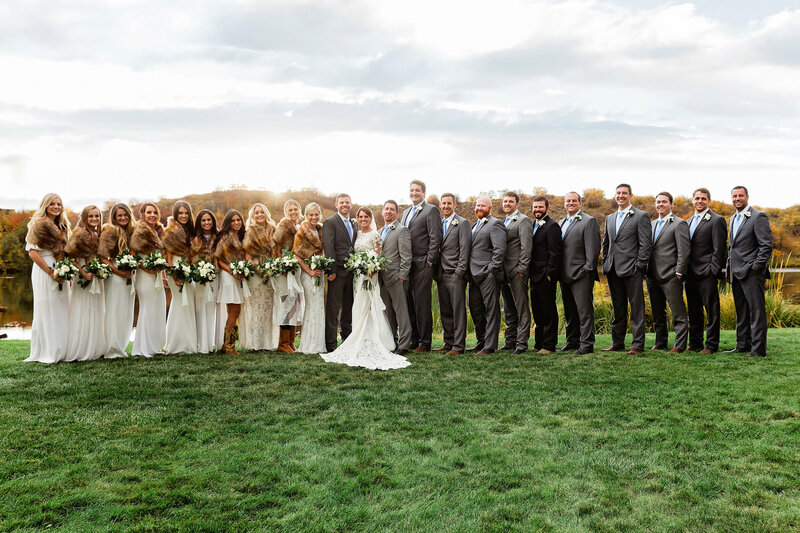 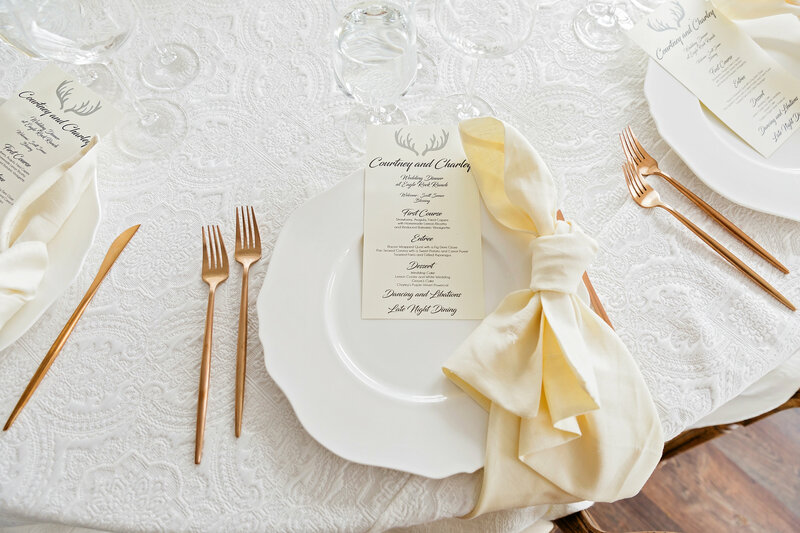 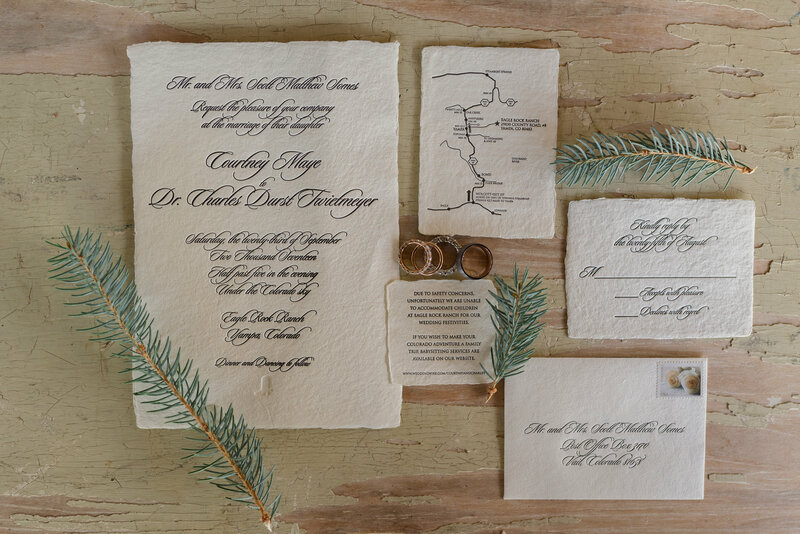 Deep in the mountains near Steamboat Springs, Charley and Courtney were married on a rustic ranch, under the brisk afternoon sun. 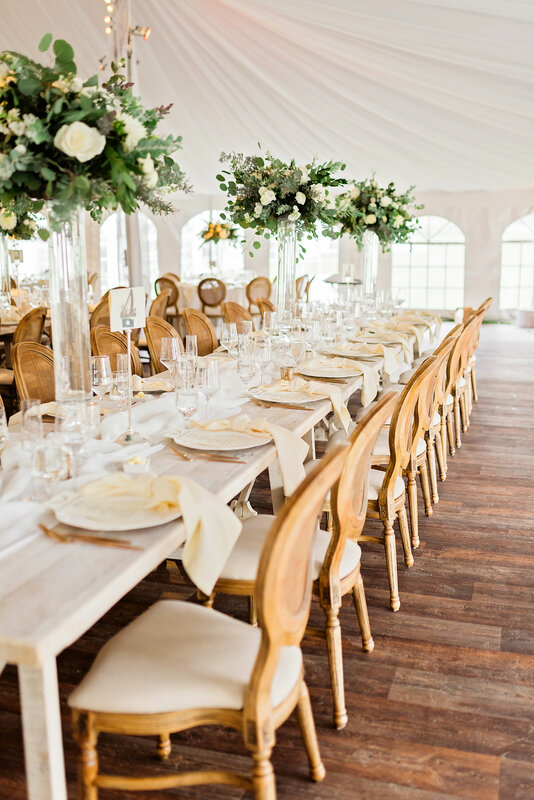 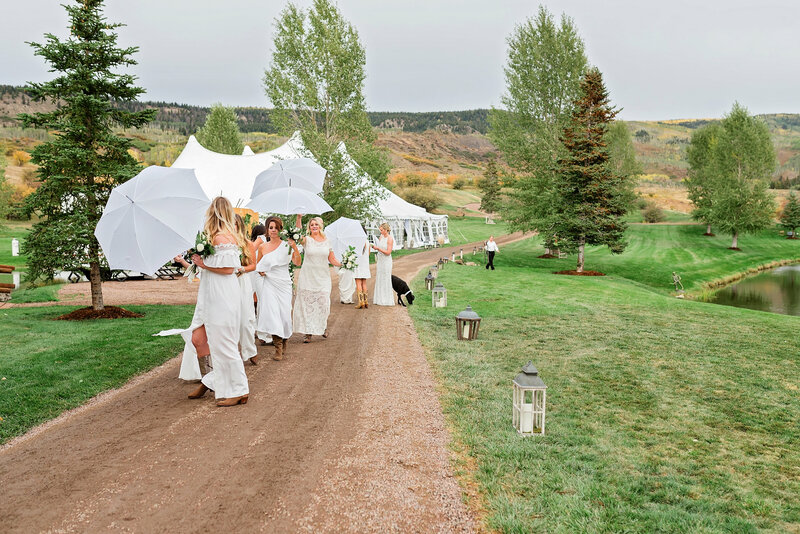 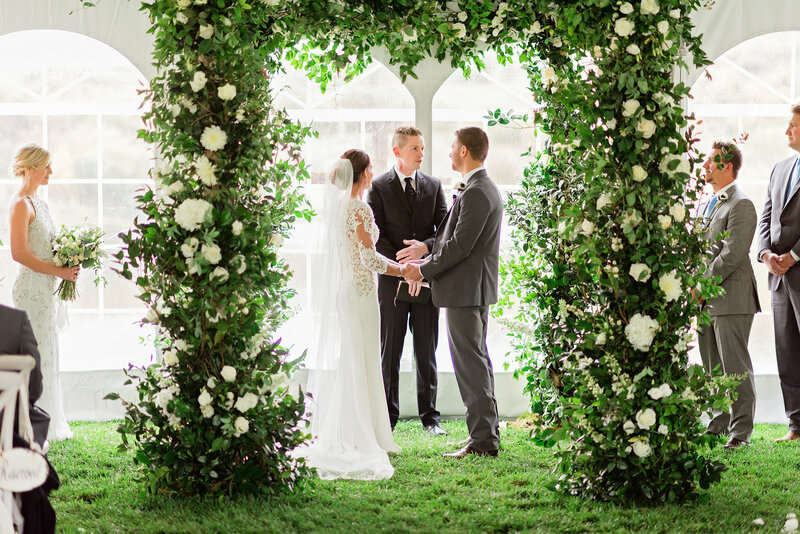 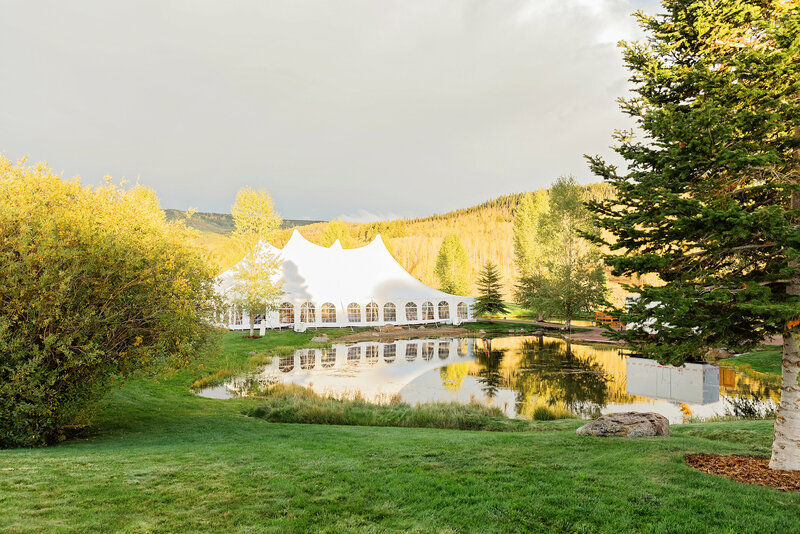 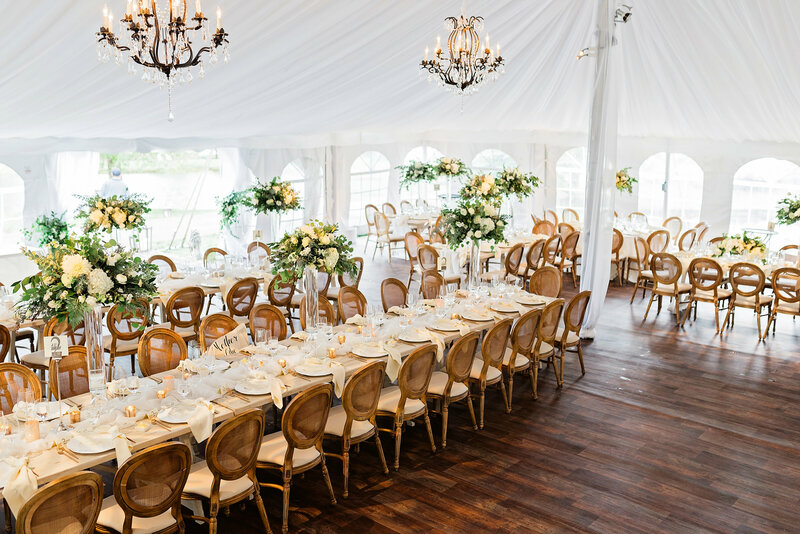 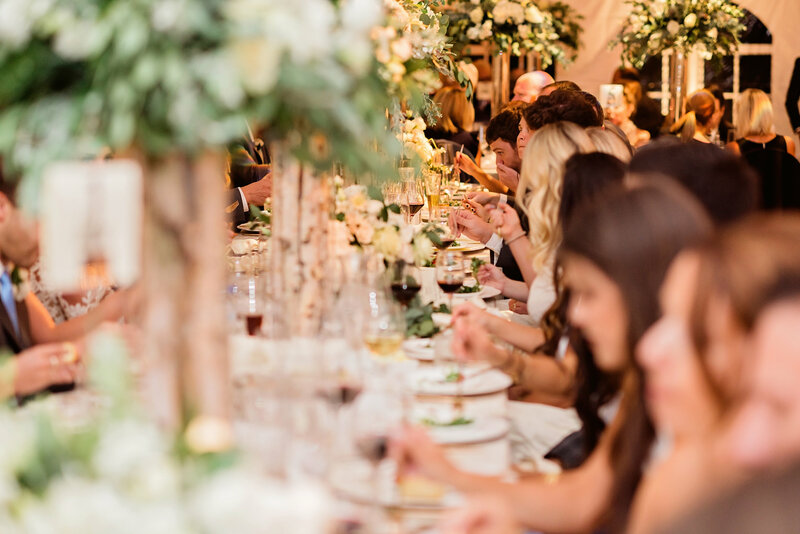 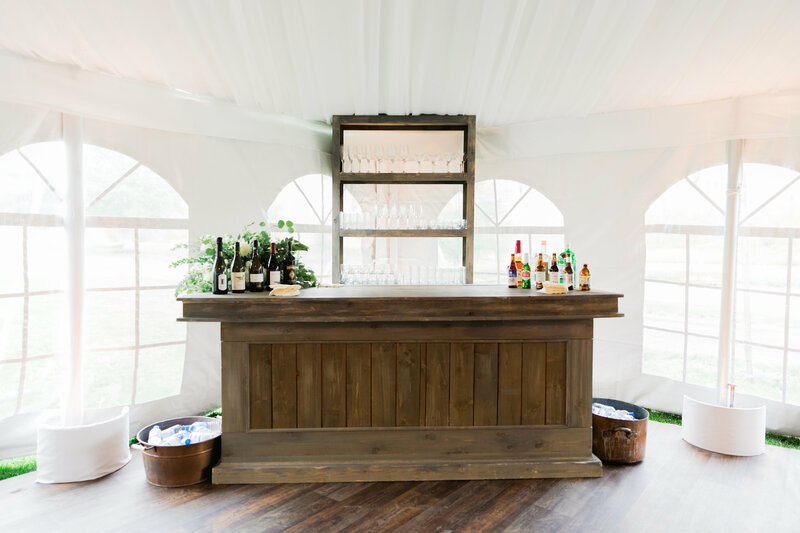 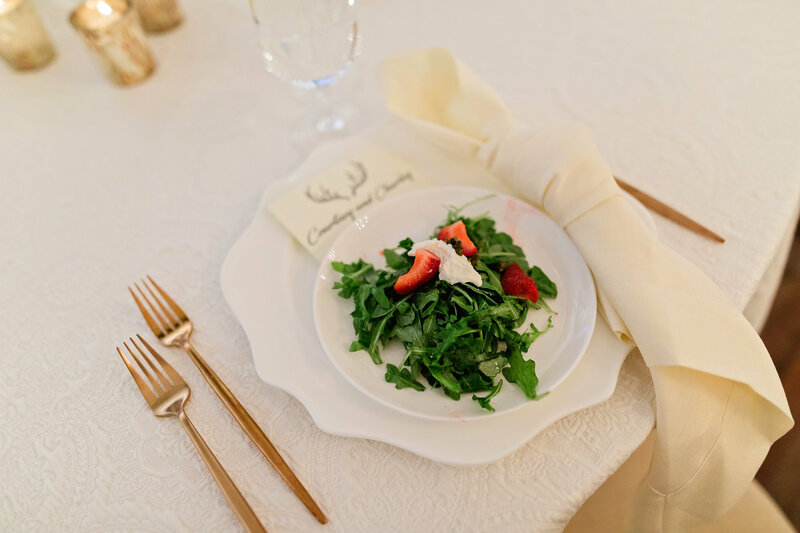 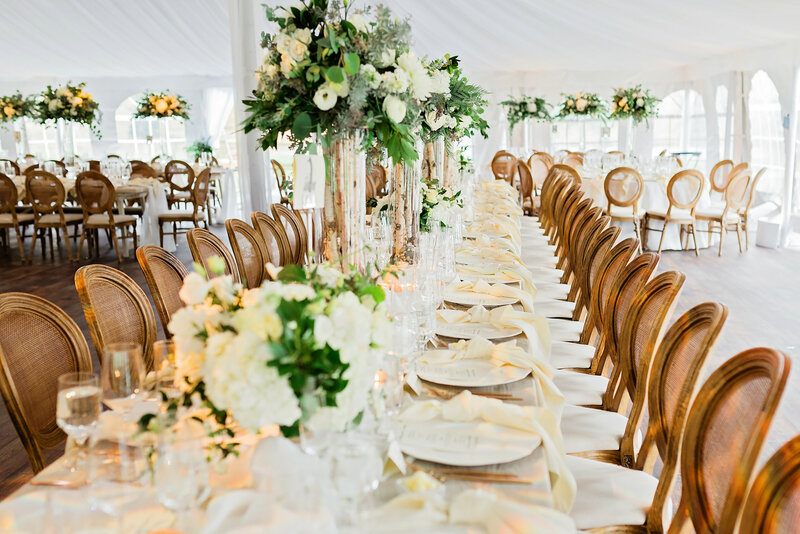 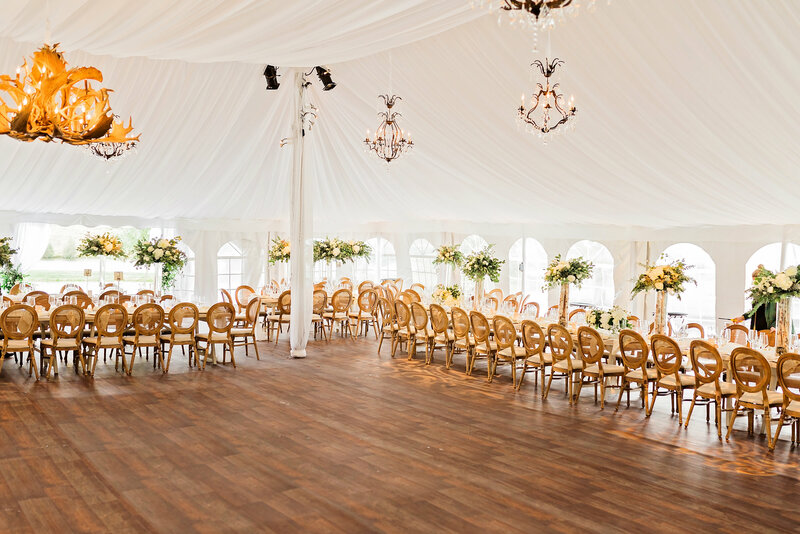 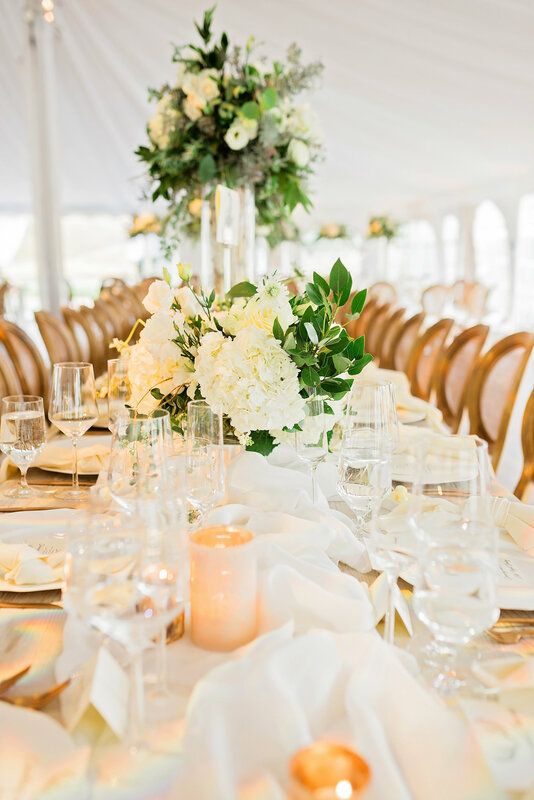 After the ceremony, they greeted guests under a fully draped white tent, with lush florals, wooden textures, and natural finishes. 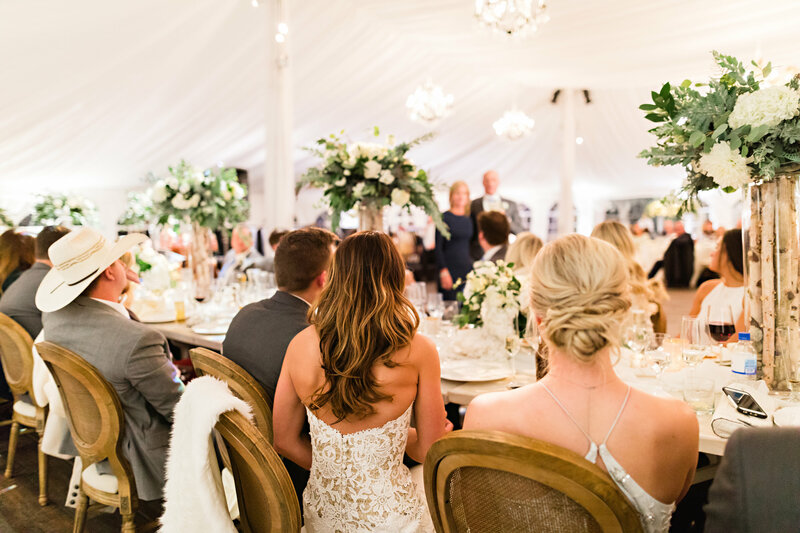 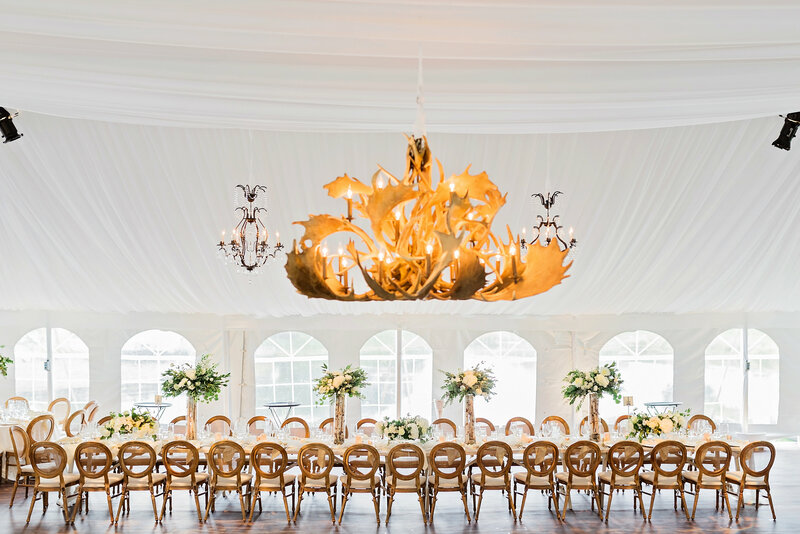 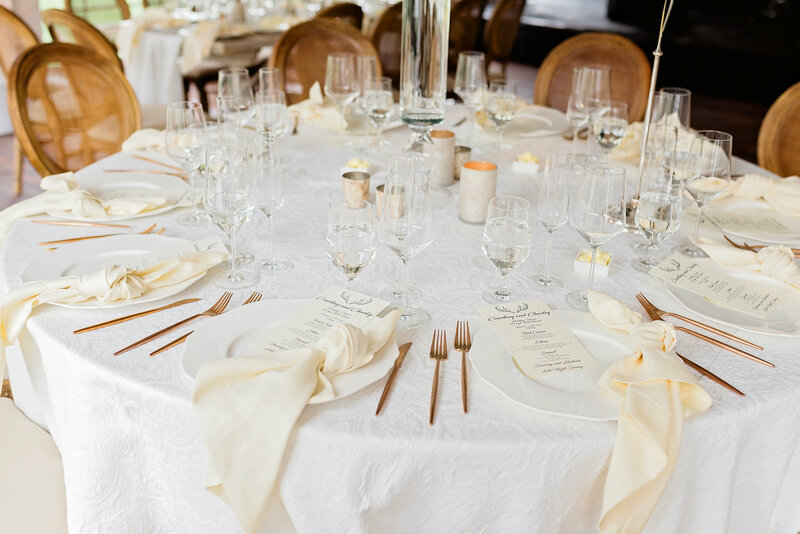 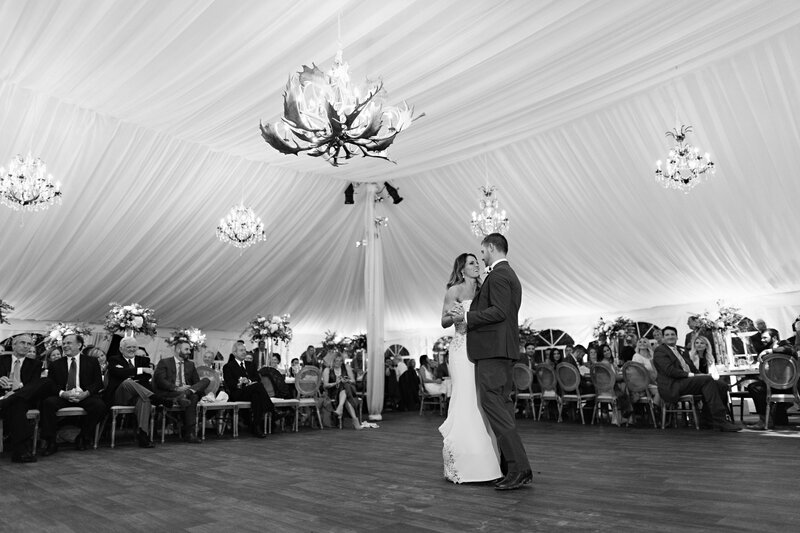 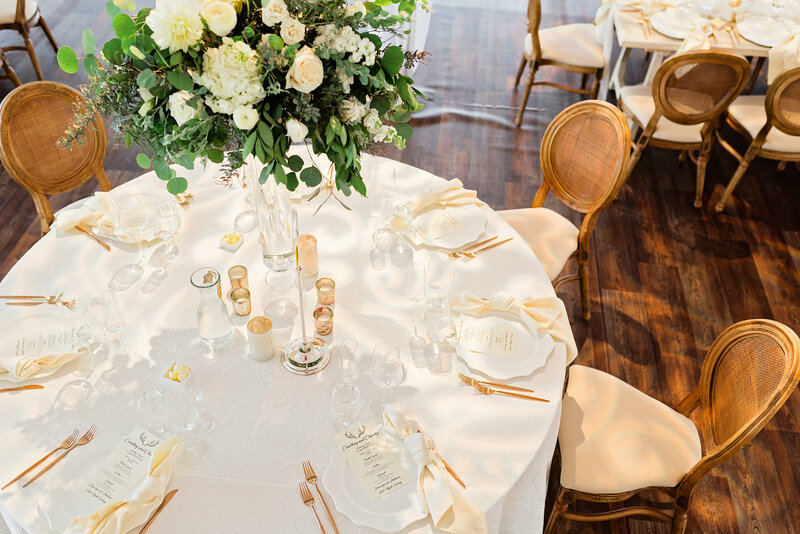 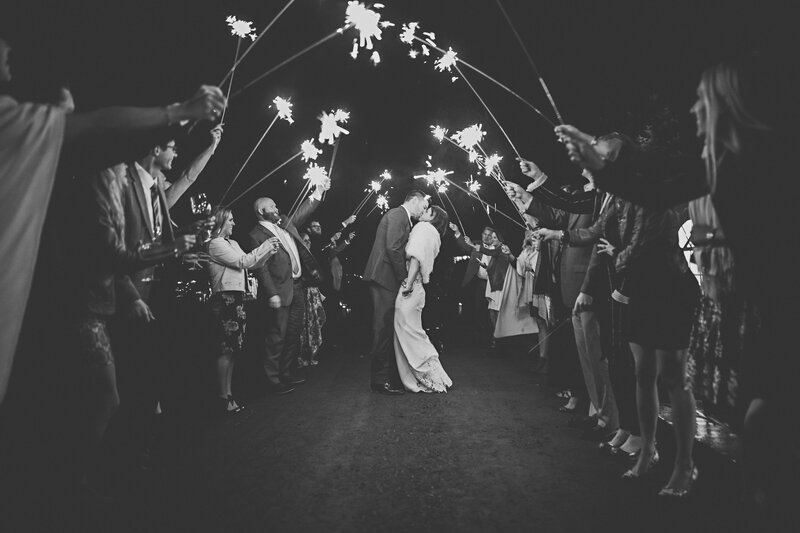 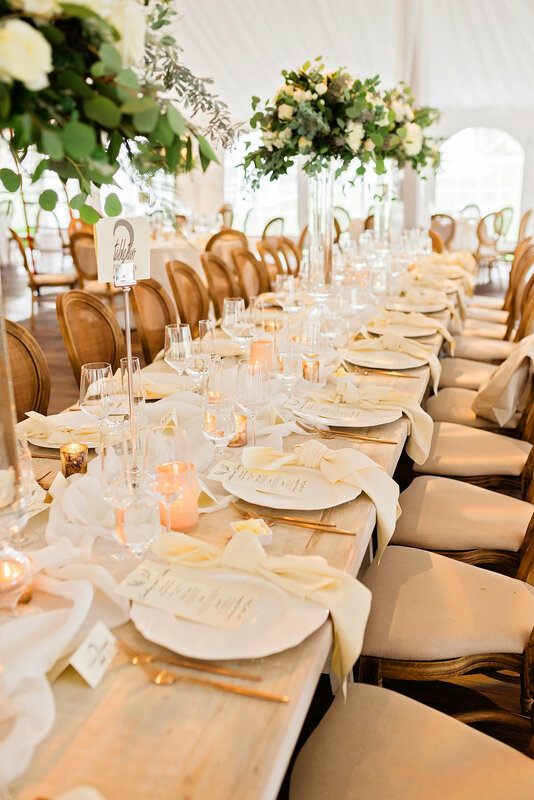 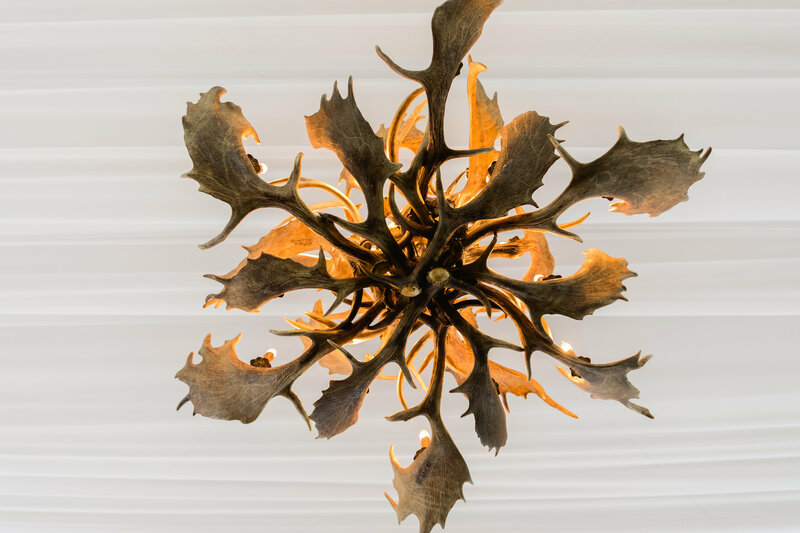 Under crystal chandeliers, surrounded by friends and family, they celebrated and danced the night away. 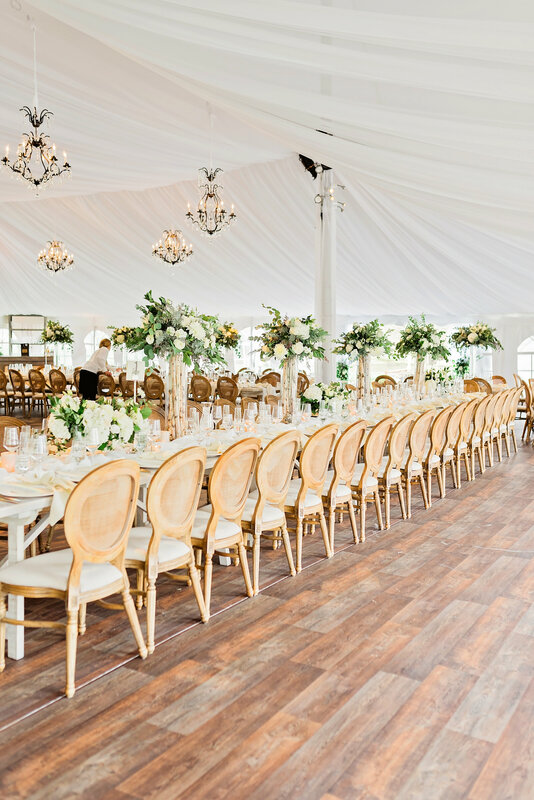 Contessa China (Full Set), Stemware, Plantation Chairs, Graywash Bar and Barback, Whitewash Dining Tables, Crystal Chandeliers, Lanterns, and Fabric Ceiling Treatment.